Education / Qualification: Applicants applying for this job must possess intermediate qualification or any other relevant education from government recognised board along with course in General Nursing/ Midwifery / Diploma in psychiatry science or Bachelor's of science in Nursing. Age: Minimum age limit is 21 years and maximum age limit is 45 years as on 1st July 2015. Fee: Fees of Rs. 200/- for OBC candidates, Rs. 100 for SC / ST candidates and Rs. 25/- for PWD candidates through demand draft in favour of Director General, Medical Health & Family Welfare Samiti payable at Uttarakhand. 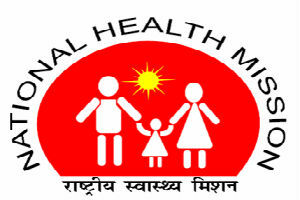 Procedure to apply for Uttarakhand Health Family Welfare Samiti job vacancy: Applicants interested in this job may send their job application in prescribed format along with all the relevant documents, self addressed envelope with Rs. 30/- stamp size of 10 centimetres x 23 centimetres to be sent on or before 31st March 2016 at the address given below.